to their requirements since 1999. Looking to offer an Online Driver Education Course? Over the past decade, e-learning has reshaped the educational landscape. Government agencies, school districts, and private businesses across the country have started offering online courses in order to reach more people, reduce costs and broaden their offerings. CyberActive provides the necessary tools to administer effective and economical online driver improvement and driver education courses. CyberActive can help improve outcomes — whether your court, school, or other entity has a dozen students in a single class or thousands in an entire district, we can help. CyberActive offers online traffic school courses statewide in over a dozen states. Individual courts and municipalities can partner with us to offer online traffic school in a variety of ways to their defendants. We can white label or courses and collect fees on behalf of courts or we can register students directly on our website. CyberActive offers online driver education courses that are engaging and interactive and sure to improve the student’s educational experience and pass rate on the permit test. We can offer our courses to as a white lable product and SAAS, or directly to the end user. CyberActive pioneered the online driver safety education industry in 1999, receiving one of the very first approvals in the nation for its online driver improvement program in California. Since then, the company has grown into one of the largest partners for state, local government, and school districts seeking to develop and administer online driver safety education programs. In 2000, CyberActive became a pioneer in the online driver safety training industry after receiving one of the first approvals in the nation for its online traffic school program in California. CyberActive has since become one of the nation’s foremost Software as a Service (SaaS) providers for government, public and private entities seeking the development, deployment, hosting and administration of specialized online driver safety education programs, with active programs in all 50 states and over 6 million student enrollments to date. Create custom software to allow our clients to administer online driver education courses. 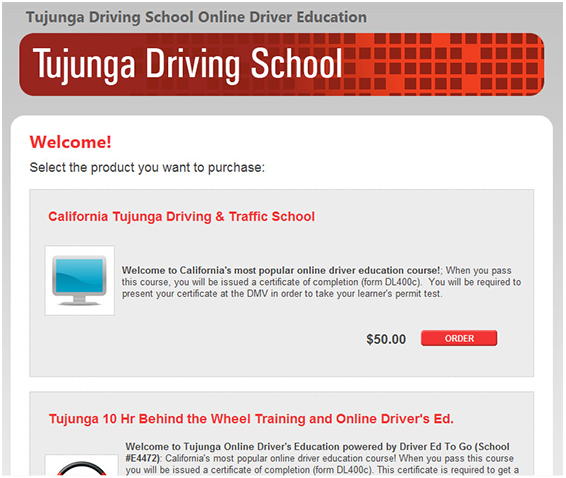 Offer online driver education courses to end users. An in-house team of researchers, compliance writers, licensed driving instructors, licensed teachers, curriculum designers, educational game designers and developers, and user interface experts work together to create our courses. The secret of our success is our proprietary Learning Content Management System (LCMS). We’re different than our competitors: At CyberActive everything is done in-house with a talented team of software developers and educators. everything adjusts to suit our students’ device. Plus every CyberActive online course offers an audio Read Along feature, which narrates the course aloud. Each user’s activity in the course can be tracked and reported on the CyberActive administrative dashboards. The activity log reports the time spent on each lesson, log in and log out times, quiz and final exam results. CyberActive clients have the option to impose individual lesson or cumulative course timers to ensure users spend a minimum amount of time mastering the material. CyberActive clients may choose to deploy a Course Activity Monitor to guarantee users are actively engaged while logged into the course. Users must answer a series of personalized, unique questions verifying their identity prior to starting the course. Questions also appear randomly throughout the course. Users have two minutes to answer, and two wrong answers lead to disqualification. As an alternative to on-site testing, users can verify their identity from any computer prior to taking the final exam. Lexis Nexis, one of the nation’s largest risk mitigation companies, can verify a user’s identity by asking a series of questions derived from public records. Accessing information about a user’s birthday, places of residence, and other key details, Lexis Nexis generates questions that ensure the identity of the person taking the test. CyberActive has experience in administering large state programs as well as smaller, more custom-tailored programs for individual organizations and jurisdictions. In states where the online traffic school approval is not granted on a statewide basis, CyberActive has received approval from hundreds of courts to offer its services. In many cities and municipalities such as Baton Rouge, Louisiana and Iron County, Utah, CyberActive was chosen to be the sole provider of online traffic school courses. Most courts have chosen to adopt the online traffic school option to provide their constituents access to education as most people would prefer to take traffic school online. CyberActive utilizes the most advanced 3D technology to create proprietary real-life driving simulations and various interactive components and games that reinforce key traffic school topics. These features aid in keeping our participants’ attention, helping them retain this critical information. We also use streaming videos to enrich our audiences’ learning environment and provide real world scenarios for important driving safety lessons. Learning should be engaging, and therefore we employ many methods to keep participants interested in statistical and legal information that can often times be difficult and cumbersome. Responsive Courses that can be taken from any device. Pursuant to regulatory requirements, we maintain a dedicated, in-house staff that specializes in curriculum development and course writing to regularly update all of our traffic school courses. Our courses offered in multiple languages depending upon the state. Course is read to students. Based upon course evaluation data gathered from CyberActive’s 6 million course completions since 2000, our courses have received a 99% customer satisfaction rating. We offer 24/7 telephonic and online customer service, technical, and course content support. The Features Judges and Court Administrators Love. CyberActive has a variety of technologies to verify the identity of program participants to ensure that the intended participant is actually taking the course. Many states and jurisdictions offering online traffic school require identity verification. CyberActive uses the latest and most cutting-edge technologies, such as voice biometrics, which verifies a participant’s identity during the course, and LexisNexis, which draws upon consumer public records to verify a participant’s identity. Unlike Experian, which relies upon a participant having sufficient credit history from which to draw questions, LexisNexis has been proven to be a more effective verification tool because it relies upon publicly available records drawn from many data sources, which virtually all participants have on record. Our customized LCMS database contains detailed information for participants who are required to attend an online traffic school course and have signed up or completed one of our courses. This includes the participant’s footprint, or course activity log, which displays all actions a participant takes during the course. This database also stores the students’ personal information permanently. In addition, the database also handles a vast switchboard of other pertinent information, such as: financial data, products and services utilized, state and local jurisdictions and course completion certificates and/or completion transmission alerts. Additionally, our LCMS automates the processing and shipping of participant completion certificates for our courses in multiple jurisdictions through multiple delivery methods. 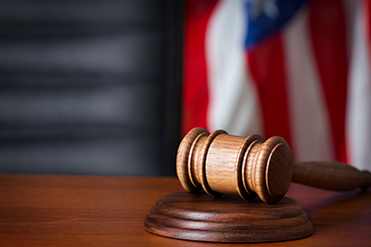 Using this system, we provide recordkeeping for courts, regulatory agencies and corporations across the country. In addition, all records are maintained in a secure electronic environment for the specific amount of time as determined by the court, regulatory agency or corporate client. Courts can place a link on their website and white label our online traffic school. This option allows courts to offer a white label program that appears to be the program of the court. Courts will collect the student registration fees and remit a per student licensing fee to CyberActive. Courts can also refer students to us. We collect the fee from the student and we also have the ability to collect court fees on behalf of the court and remit back to the courts. Many school districts, private and charter high schools of high schools have partnered with CyberActive to offer the most engaging and affordable online driver’s education courses to their students. Giants of the teen safety industry such as DARE, YMCA, AdvancEd and thousands of individual high schools and other driver’s education partners all agree that CyberActive offers the best online driver’s education programs. Districts and schools can also offer our program through a Virtual Classroom which allows schools to assign classes to teachers, teachers can set up extra assignments beyond what the program offers or use the standard program. Teachers can also set up office hours virtually and teach an online class that feels as close to a regular class as possible. For schools that wish to offer the course through one of our websites, they can purchase registration codes in bulk and direct the students to our website. Florida Districts, private and charter schools can now offer online driver education courses to their students at a much lower cost than the only other option on the market. Join the group of students and administrators who love CyberActive! Over the past ten years, internet-based companies have started taking over the training and education industries by providing less expensive and more accessible courses than those offered by brick-and-mortar schools. Consequently, owners of brick-and-mortar driving schools are finding it increasingly difficult to compete in today’s market without integrating an online option into their business model. If you want to take your driving school or business to the next level, becoming a CyberActive Partner is the perfect way to increase your registrations and revenues by establishing an online presence. Connect your website to a fully branded registration portal that maintains the general look and feel of your website. Allow your customers to enroll in a state approved traffic school or driver education course that is branded by your company. Earn a commission for any customer who enrolls in and completes a CyberActive course. Track your commission payments and referrals through an online affiliate account. Have access to one or many of CyberActive’s state-approved courses. Pay absolutely nothing to setup your account. Receive monthly commission payment deposits on time, every time. Online Products Branded by Your School. 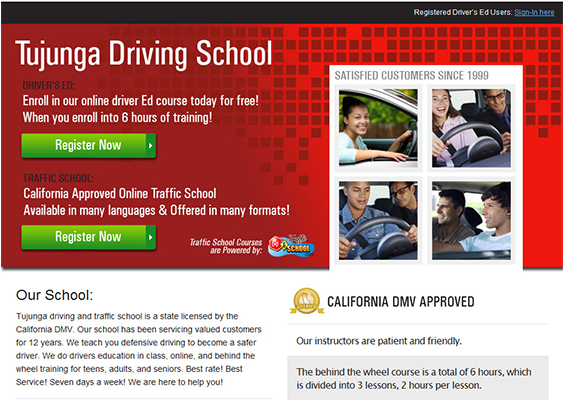 CyberActive offers approved traffic school and driver education courses in over twenty states. As a Partner, you will link your website to a branded “registration portal” hosted by CyberActive that will maintain the same look and feel as your own website. Below is a screenshot of the same Partner’s registration portal. Notice how the Partner’s banner is clearly displayed at the top of the page, along with the Partner’s tagline. These are customizable features. As a CyberActive partner, you have access to both an approved course and a branded registration portal that will reduce the likelihood of “drop-outs,” or customers who leave a website after being redirected from one website to another website. The customizable features of the Partner Program, including the logo and color, makes instances of drop-out less common. This means higher revenues for our Partners. Lastly, all partners have 24-7-365 access to an online Partner Account where they can view a student’s information and track his or her progress in the course. In fact, you can even choose to be notified via email each time a student registers or completes the course. 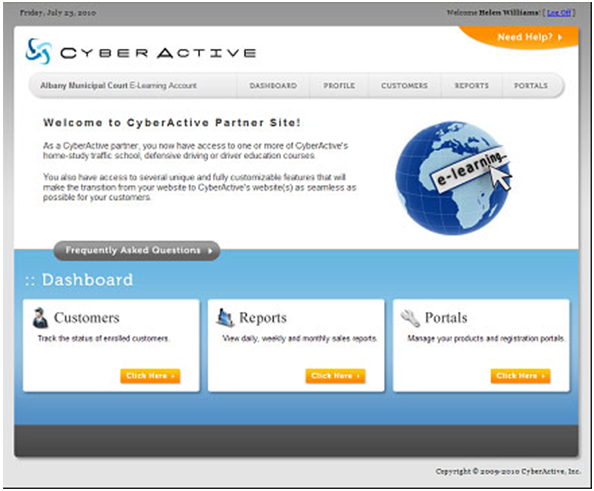 With the CyberActive Partner Account, all of the information you need is at your fingertips! A partner account can be setup within 24-hours at no cost to your school or business. If you would like to become a CyberActive Partner or to learn more about the CyberActive Partner program please contact us by email or telephone. The CyberActive fleet training program was designed with one thing in mind: putting safer drivers on the road while improving bottom line costs. Consider this eye-opening statistic – commercial auto collisions cost employers more than $50 Billion annually. With our program, your company can reduce its insurance costs by making sure that company drivers receive the most comprehensive traffic safety training in the industry. And with the CyberActive Fleet Administration Center, employers can generate detailed reports on employee participation, test results and monthly completions. The CyberActive Fleet Training Program applies to drivers of any type of commercial vehicle, including transportation services vehicles. The program covers basic federal traffic safety regulations, defensive driving techniques, safe driving lessons for in all conditions, and the risks involved with driving under the influence of alcohol and drugs. Our 3-hour course contains 4 chapters of fleet training instructions. After completing the course, you must pass a brief final exam with a score of 80%. However, you may re-take the final as many times as necessary at no additional charge. The 3-hour fleet driver course is available for $25.00 per driver. 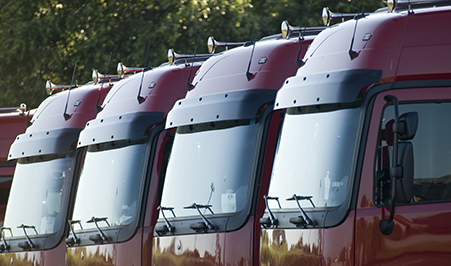 We also offer bulk discounts for all of our fleet driver safety courses. for a more comprehensive safety training experience. 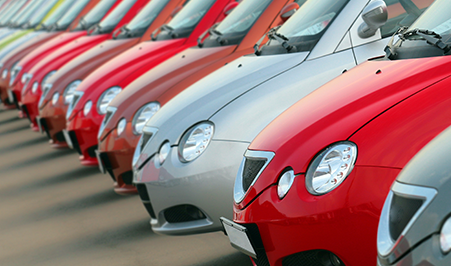 The 6-hour fleet driver course is available for $29.95 per driver. We also offer bulk discounts for all of our fleet driver safety courses. CyberActive has been providing online traffic safety correspondence courses for over 15 years in sixteen states across the country including Texas, California, Florida, Indiana and Alaska. CyberActive is the latest in a long line of innovative, economical and convenient courses designed to improve roadway safety. Our highly-trained customer service representatives include state-certified traffic safety instructors, who can help you or your drivers answer any question. We are open 7 days a week, to answer all of your questions. Unlike many of our competitors’ courses, CyberActive has driving simulations and award winning graphics, and was created after years of research aimed at providing drivers with the most engaging and interactive experience possible. To get more information please complete and submit the form below. 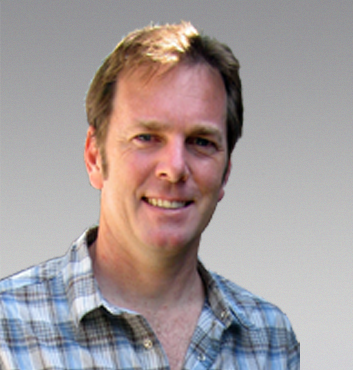 Brett Kelts has over 25 years of industry experience in software development and management, and is the named inventor on several US Patents related to user interfaces. He holds a bachelors degree from Duke University where he graduated with honors. For over 10 years as the Chief Technology Officer, Brett helped establish the company’s technical vision and led the implementation. He leads all aspects of technology development. Brett administers software engineering initiatives and development, and manages the technology infrastructure which includes over 12 active websites servicing over 4 million registered users. He reports to the chief executive officer. Ms. Naim is the founder of CyberActive. While her degree is in law, her passion is in education and software design. She helped grow a national test preparation company from one state to a multi-state enterprise utilizing advanced technology to set apart from the other companies in the nineties. Simultaneously, she wrote a driver safety course and got it approved as one of the first traffic school courses in California in the late nineties. Since then the CyberActive safety courses have been administered by government agencies, schools districts, private businesses, such as fleets and insurance companies. Today, she assists in leading the team at CyberActive, providing the vision, strategy, and leadership to the staff. While she oversees the day-to-day operations and meets regularly with department heads to ensure that goals are being met, she actively participates in research and development where she works on the company products and decides on new milestones and direction for CyberActive. Doug is a regulatory and product specialist who has directly overseen the approval and expansion of CyberActive’s course library from one state 12 years ago to over 30 states today. 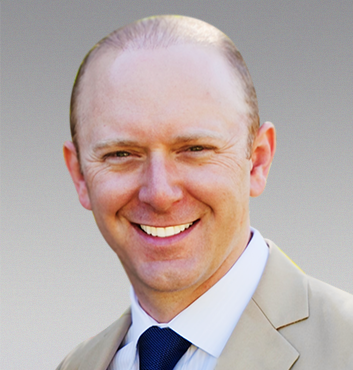 Doug specializes in executing strategic plans to achieve new market aquisition and expand the company’s customer base. He has a proven ability to understand and translate complex regulatory requirements, which drives the program approval process from start to finish. He acts as the primary liaison between government entities and in-house employees to implement new programs and address issues cited in state audits. Ali Farzin manages advertising and marketing communications activities, conceptualizing and executing marketing strategies and programs to increase the profitability of new and existing products and services. Mr. Farzin is responsible for managing the day-to-day marketing plan implementation and budgets, creating, maintaining and updating marketing collateral and managing relationships with outside media/PR agencies, vendors and partners. Ali provides project management and oversight for key marketing initiatives to develop, plan, execute, and launch effective marketing campaigns. Omid develops information systems by studying operations; designing, developing, and installing software solutions; supports and develops software team. He develops software solutions by studying information needs; conferring with users; studying systems flow, data usage, and work processes; investigating problem areas; following the software development lifecycle. Omid Determines operational feasibility by evaluating analysis, problem definition, requirements, solution development, and proposed solutions and he documents and demonstrates solutions by developing documentation, flowcharts, layouts, diagrams, charts, code comments and clear code. Mr. Halavi Prepares and installs solutions by determining and designing system specifications, standards, and programming, improves operations by conducting systems analysis; recommending changes in policies and procedures. He also Updates job knowledge by studying state-of-the-art development tools, programming techniques, and computing. Evangeline handles the management of CyberActive Inc.’s holdings. Insigne works directly with Ms. Naim and oversees the Treasury and Accounting staff. Her position is also dedicated to ensuring all bookkeeping tasks are met, including the payments, refunds, and statements. Insigne has worked with CyberActive Inc. for nearly ten years and brings to the company over 20 years of experience in Accounting and Treasury Management. Angel Gatmaitan ensures that management and employees are in compliance with rules and regulations of regulatory agencies, and that company policies and procedures are being followed. Norma Rivas ensures that all daily product fulfillment and customer service operations are sustained. Handling all internal issues in the customer service department, including certificate processing, student records and court/state reporting. Develops and implements a system to evaluate the skill, experience, and professional development needs of all staff. 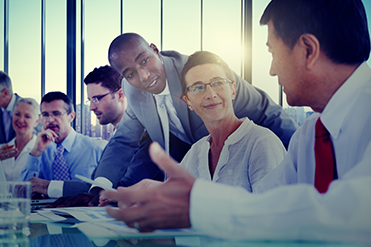 Implements a professional development program to address employee experience and skill gaps. Recruits, hires, and oversees the training and orientation of all Customer Service Agents. Norma also oversees off shore customer service assets and coordinates with in house staff and customers to address customer reported issues and resolve them. Burton Katz is an experienced entrepreneur in consumer software and digital marketing including lead generation, ecommerce and mobile services. Mr. Katz is responsible for leading the development and execution of CyberActive’s long term strategy with a view to creating shareholder value. His leadership role also entails being ultimately responsible for all day-to-day management decisions and for implementing the long and short term plans for CyberActive’s traffic school and drivers education courses. Previously Mr. Katz served as Chief Executive Officer of New Motion Inc., an integrated mobile content and online advertising business that grew from startup to $50MM+ in sales within three years. Mr. Katz eventually led a corporate merger with a NASDAQ listed company creating a combined entity with over 120MM+ in sales. Martuza Ferdous has 20 years proven track record of designing and developing innovative technology solutions to complex data intensive problems. He has successfully lead and developed products from its infancy to its maturity and ultimately to its acquisition. His primary focus is on CyberActive’s strategic development, systems architecture and product development for traffic school and drivers education courses. He oversees daily operations of the company and the work of executives. He reports to the Chief Executive Officer. A veteran in online marketing, and University of Florida graduate, Danielle brings an innate understanding of audience composition and user behavior to the CyberActive team. Leading both marketing and web development teams, over the past 10 years Danielle has cultivated a niche in building an online presence for various companies. Across a myriad of industries she has worked within many verticals. From e-commerce, lead generation, app development to publishing and content marketing she always keeps one principle in mind: Conversion Is King. With over 6 years of experience in online marketing, Candice Nestel assists CyberActive with implementing content marketing strategies, overseeing social media campaigns and executing strategic marketing plans for drivers education and traffic school. Ms. Nestel works closely with CyberActive’s tech team as the liaison between marketing and tech. She graduated from the University of Florida with a degree in Public Relations and Business Administration. 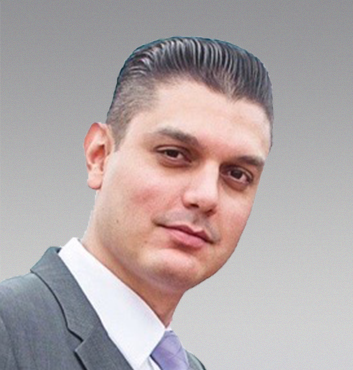 Carlos David has over 10 years of experience in S.E.O. (Search Engine Optimization) and dynamic content creation. He also has over 5 years of affiliate management experience. Along with creating accounts for all new CyberActive affiliates and partners, he also helps new clients optimize their websites in order to reach as many potential customers as possible. He specializes in creating effective on-page ranking factors for traffic school and drivers education by using the latest and best S.E.O. practices. Mr. Garcia holds a bachelor’s degree from Florida International University. Angela Grant is responsible for managing CyberActive’s SEO activities including, keyword strategy, and complex, high-volume search/display media campaigns optimization. As the Search Marketing Manager, Angela manages CyberActive’s campaign development, tracking and analyzing data to increase conversions and leads, and achieve maximize ROI in paid search campaigns for drivers education and traffic school. Angela has over 4 years of experience with search marketing and attended Florida International University.